When researching pioneer games, I was intrigued by the ball and cup toy. I knew I wanted a few along with wooden tops for my pioneer presentions. In my recent pioneer games classroom visit, the children enjoyed both. The cup and ball toy and wooden Flip Flop Tops were a hit with my own children and the second graders. (Visit the link above to see more photos.) 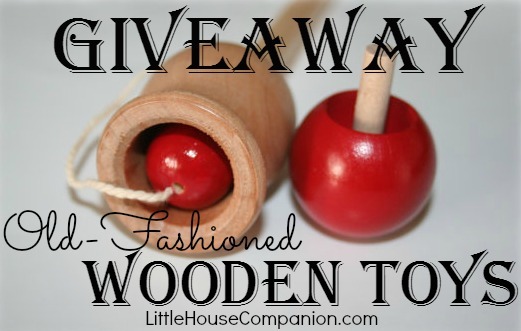 Read to the end of this post for the wooden toy giveaway and 10% OFF coupon for you. 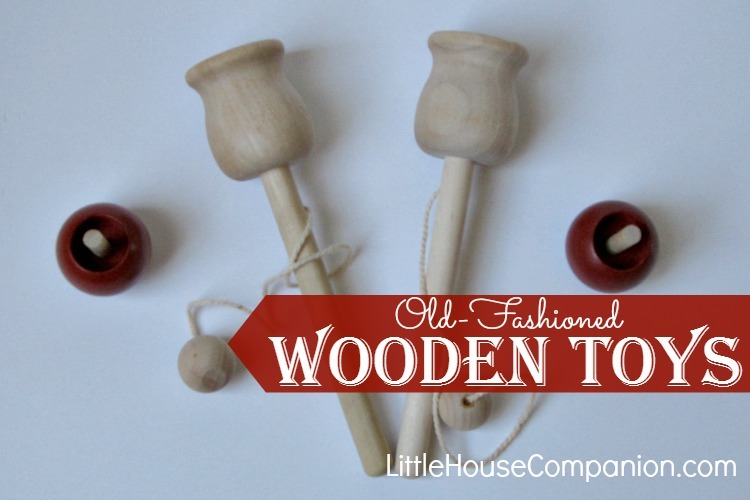 These handmade wooden toys are from an Etsy shop called Toying Around. Toying Around offers a variety of painted and unfinished wooden toys. 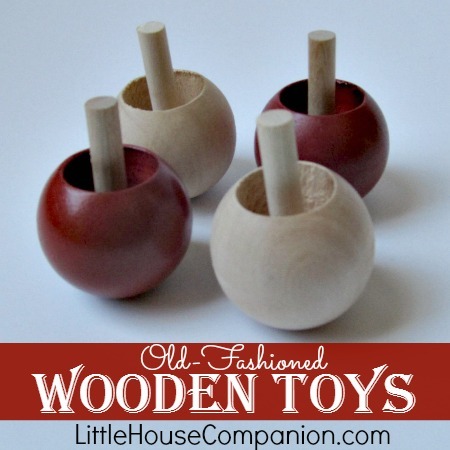 What I Like: I really like both the wooden tops and the ball and cup (Plop in the Top) toys. The unfinished wood is smooth to the touch. The toys seem to be put together well with a bit of glue to secure everything in place. Two of our tops are painted red. It is a pretty color and a smooth finish. The Flip Flop Top actually spins first on the ball and then on the handle. I'm very pleased with the quality of these toys and would use Toying Around again. Improvement Suggestions: One possible change is to offer the ball and cup toy in a second, larger size. As stated on their selling page, they are about 6.5 inches long. It feels a bit small in my hand, though a good size for children. I think a longer string would also improve the success rate of catching the ball. Despite these suggestions, I think the ball and cup toy is fun and good quality as it is. If you like old-fashioned toys for your children, grandchildren, classroom, or to give as gifts, I certainly recommend Toying Around to purchase wooden toys. One winner will receive a classic toy set of a ball and cup toy and a spinning top. To enter the giveaway, please leave a comment below telling your favorite old-fashioned game. Leave an additional comment if you like Little House Companion Facebook page. If you subscribe to Little House Companion or the newsletter, you get another entry. Thank you, Toying Around for providing this giveaway! Giveaway runs through Wednesday, July 1, 2015. One winner will be chosen at random. Once I email the winner, they will have 48 hours to reply or a new winner will be chosen. 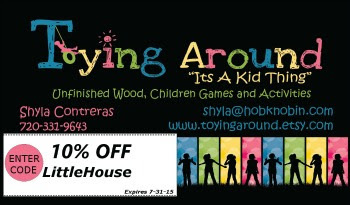 In the meantime, use LittleHouse coupon code to save 10% at checkout in the Toying Around shop until July 31, 2015. I was provided with products to facilitate this review. All opinions are my own.